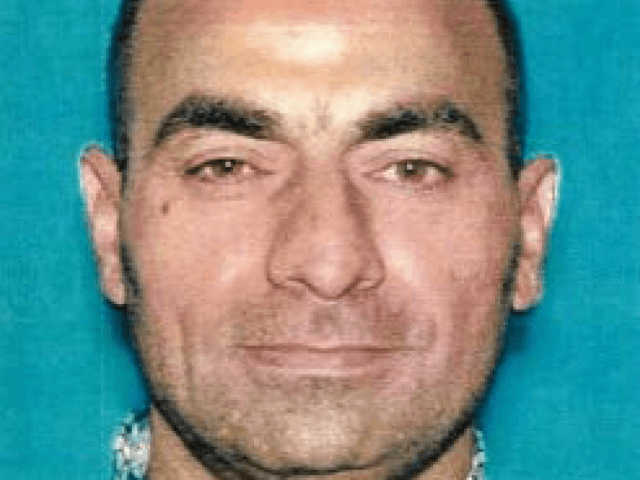 “Omar Ameen, 45, an Iraqi national, wanted on a murder charge in Iraq, appeared before a federal magistrate judge in Sacramento, California today in connection with proceedings to extradite him to face trial in Iraq. Ameen settled in Sacramento as a purported refugee and attempted to gain legal status in the United States,” the Department of Justice said in a statement released late Wednesday. The arrest comes one month before President Trump announces his presidential determination of the cap on the number of refugees to be admitted into the country in FY 2019, and underscores the validity of one of the major themes of his successful 2016 Presidential campaign: unvetted refugees who pose a security risk from hotbeds of terrorism were being granted entry into the United State by the Obama administration. Evidence from both the Iraq National Security Service, provided in the extradition request, as well as the FBI, obtained through its own investigation, indicates since at least 2004, Ameen has been a member of first AQI, then ISIS in Iraq. The FBI has interviewed at least eight witnesses who identify the Ameen family—including Ameen himself, his father, brothers, and paternal cousins—as affiliated with AQI and ISIS. According to witnesses, it is common knowledge in Rawah, Iraq, that Ameen was a main local figure of AQI and ISIS. The Ameen family is alleged to be one of five native Rawah families that founded AQI in the region. Ameen claimed on his refugee application that on March 4, 2012, when he was living in Baghdad with one of his brothers, their home was raided by masked, black-clad men, and the brother was taken away and not heard from again. Ameen claimed the he was able to escape, and attributed the raid and kidnapping to the “Mahdi Army,” a reference to Jaish Al Mahdi (“JAM”). According to Ameen, he feared persecution based on the kidnapping of his brother if he were to remain in Iraq. Ameen repeated the claim of feared persecution based on this brother’s disappearance on his adjustment of status application. In actuality, an arrest warrant was issued from the Higher Judicial Court of Investigation in AlKarkh, on December 26, 2010, for the arrest of that brother, Ameen, and two of his other brothers,charging them with terrorism, in violation of Article 4/1 of the Counterterrorism Law of Iraq. 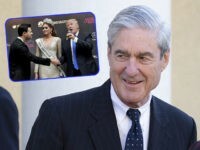 But, it continues “Ameen did not immigrate directly to the United States following the approval of his application, but instead is alleged to have returned to Iraq to commit the murder that is the subject of this extradition request. Ameen’s passport does not reflect any departures from Turkey after his entry on April 1, 2012. Nevertheless, Ameen stated during his May 2014 refugee interview with USCIS in Turkey that he had returned many times to Iraq. Ameen’s resume, prepared in 2018, is consistent with a return to Iraq by on or about June 22, 2014 (the day of the fall of Rawah to ISIS). Ameen lists employment in Turkey through May of 2014,then shows a gap in employment until Ameen’s immigration to the United States. Multiple witness interviewed by the FBI reported seeing Ameen in Rawah in or about the time of the fall of Rawah to ISIS. In another account of the murder given to the FBI by a witness referenced in the extradition request, a witness gave a description of the ISIS vehicle11 convoy. S/he recalled an AMRAP, a 2-cab Hilux, and a Humvee, each carrying multiple males. The witness recalls each member of the convoy brandishing some type of ISIS paraphernalia, including flags and vests. The witness saw Omar Ameen in the convoy,and described him as having shoulder-length hair, a beard, wearing Afghan garb, and carrying an AK-47. The witness identified Ameen from this photo, one of a series of photos of individuals shown to him/her on a smart phone. Ameen returned to Turkey on an unknown date and traveled on to the United States, arriving on November 4, 2014. After eventually settling in Sacramento, California, Ameen filed an I-485, Application to Adjust Status. In an interview on May 26, 2016, under oath in support of that application, Ameen affirmed all the answers given in support of his refugee application. Ameen stated that he had not given false testimony to enter the United States, and also that he had not given false testimony to his refugee application. On his written I-485 application to adjust status, and also in the interview, when asked “Have you EVER ordered, or called for, or assisted with the killing of any person?” Ameen answered “no.” When asked “Have you ever committed the killing of any person?” Ameen answered “no.” In actuality, on or about June 22, 2014, Ameen is alleged to have killed Ihsan in collaboration with other members of ISIS. The stunning allegations against this unvetted Iraqi refugee who arrived in the United States during the second term of the Obama administration is in pointed contrast to the Trump administration’s handling of refugee vetting. President Trump has delivered on his campaign promise to end the arrival of refugees from countries that are hotbeds of terrorism. In FY 2016, the last full year of the Obama administration, 84,995 refugees were admitted to the United States, more than 36,000 of which came from seven countries which had been designated by the Department of State as hotbeds of terrorism: Iraq, Iran, Libya, Sudan, Somalia, Syria, and Yemen. As of July 31 of this year, more than 10 months into FY 2018, the first full fiscal year of the Trump administration, 18,214 refugees have been admitted to the United States, less than 1,000 arriving from those seven hotbed of terrorism countries. In September 2017, President Trump announced a refugee cap of 45,000 for FY 2018. Less than half that number will arrive this year. Numerous press reports indicate that the president is expected to announce an even lower refugee cap for FY 2019–which could be anywhere from no refugees at all to 25,000.